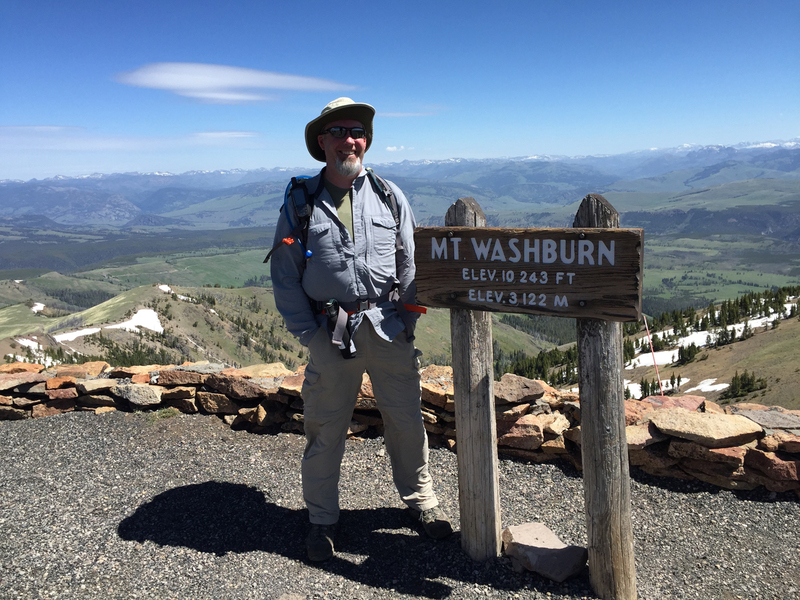 June 17, 2016 – I made the summit of Mt. Washburn (10,243 ft.) in Yellowstone National Park. It wasn’t difficult; I did it to see if I could keep a 3 mph pace and I crushed it! 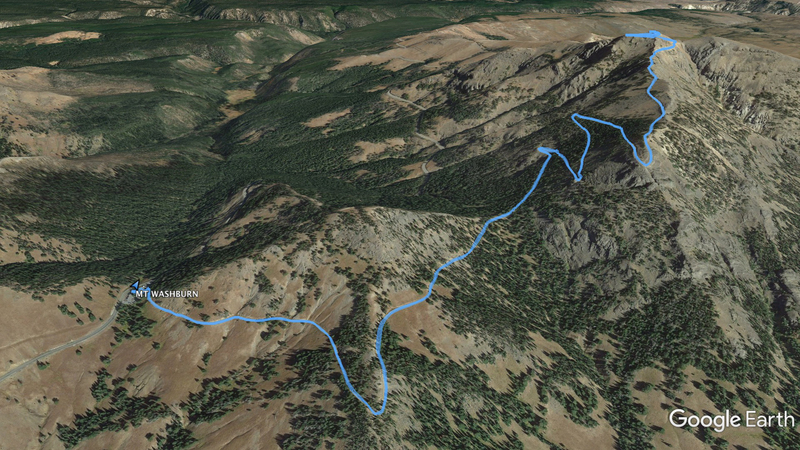 Aerial view of the summit path for Mt. Washburn in Yellowstone. Me on the summit of Mt. Washburn in Yellowstone National Park.